An astrophysics team explained why the growth of Mars was stunted by an orbital instability among the outer solar system's giant planets in a new study on the evolution of the young solar system. The study builds on the widely-accepted Nice Model, which invokes a planetary instability to explain many peculiar observed aspects of the outer solar system. A University of Oklahoma model used computer simulations to show how planet accretion (growth) is halted by the outer solar system instability. Without it, Mars possibly could have become a larger, habitable planet like Earth. 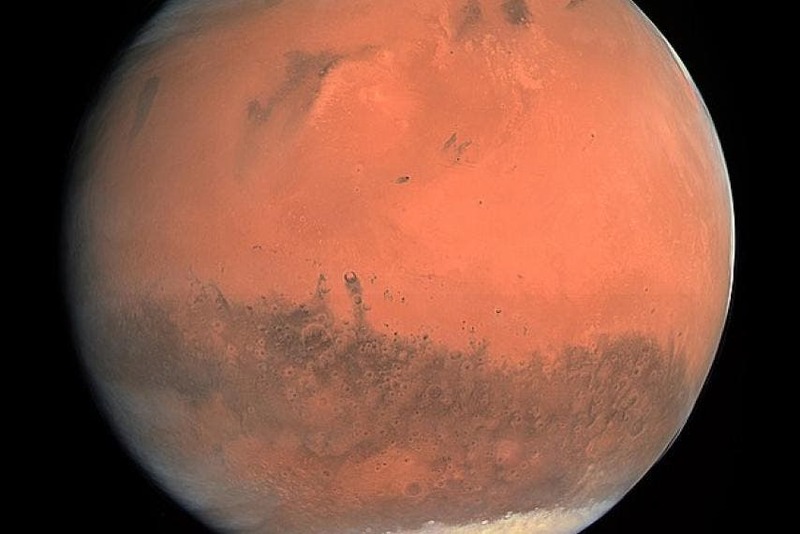 "This study offers a simple and more elegant solution for why Mars is small, barren and uninhabitable," said Matthew S. Clement, OU graduate student in the Department of Physics and Astronomy, . "The particular dynamics of the instability between the giant planets kept Mars from growing to an Earth-mass planet." The success of the terrestrial planetary formation simulations for this study were found to be tied to the detailed evolution of the solar system's two giant planets–Jupiter and Saturn. Systems in the study where Jupiter and Saturn's post-instability orbits were most similar to their actual current orbits also produced systems of terrestrial planets that resembled the current solar system.